Our seven-year-old, Bobby is still a believer in all things magical. 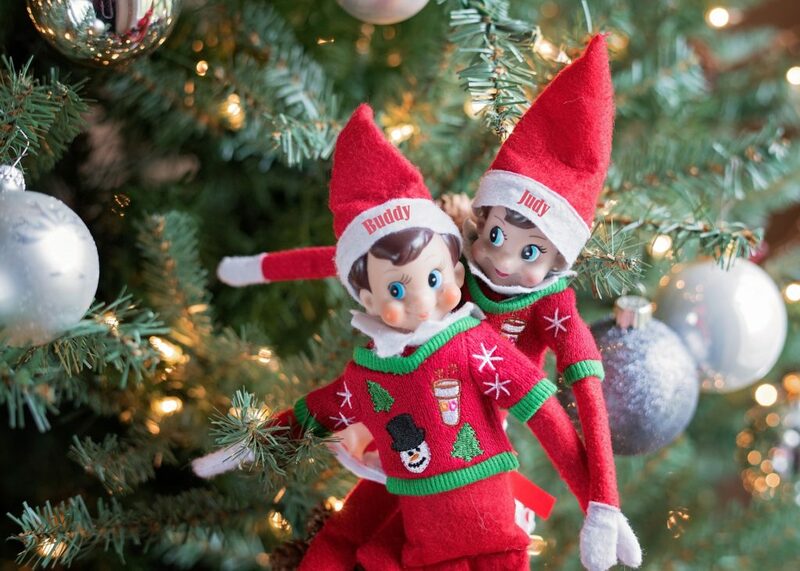 Although our elf is rather inconsistent in terms of “perching in a different place to watch the fun”, Bobby has nevertheless cried every night out of fear that the elf will end up in his room, staring at him when he sleeps. None of us like to be watched when we aren’t putting our best foot forward. In the rush to relocate the elf, deck the halls, plow through crowded shops, wrap, bake, etc., I sometimes forget that Jesus is “watching the fun” as I prepare for His birthday. Or has the sparkle of Christmas grown dim because of the quantity of stuff, the steady activities, and the pressure to keep up with the latest electronic or name brand gifts? Do you ever get to the end of the Christmas season, and find that your strongest emotion is relief that you got through it? The next time I relocate our little Elf on the Shelf, I’m going to remind myself that Jesus watches the fun of Christmas, and nothing delights Him more than seeing love in action. Advent is supposed to be about preparing for the coming of Christ, but too often, all we’re really preparing for is more stuff to shove in drawers and closets, and hefty credit card bills in January. Is that as far as God wants me to go? Did He bring the disparity between my lifestyle and that of so many others to my mind simply to call me to a place of gratitude? Or would He actually like me to do something about it? I can’t solve world hunger. I can’t build a well in every village that needs clean water. I can’t hold every orphaned child that is longing for a mother’s arms. But if all God’s children decide to celebrate Jesus’ birthday by doing justice and showing kindness in action, we would see change. That scent of Christ would fill the air and people would be drawn to Him. Now that would be a birthday gift fit for a King. Can we spend less on gifts for loved ones who already have so much, and give to someone truly in need? Can we forgo a luxury for ourselves in order to be more generous? Can we practice kindness in unlikely places, like the mall parking lot and the long line in the store? May we be the fragrance of Christ as we prepare for His coming.